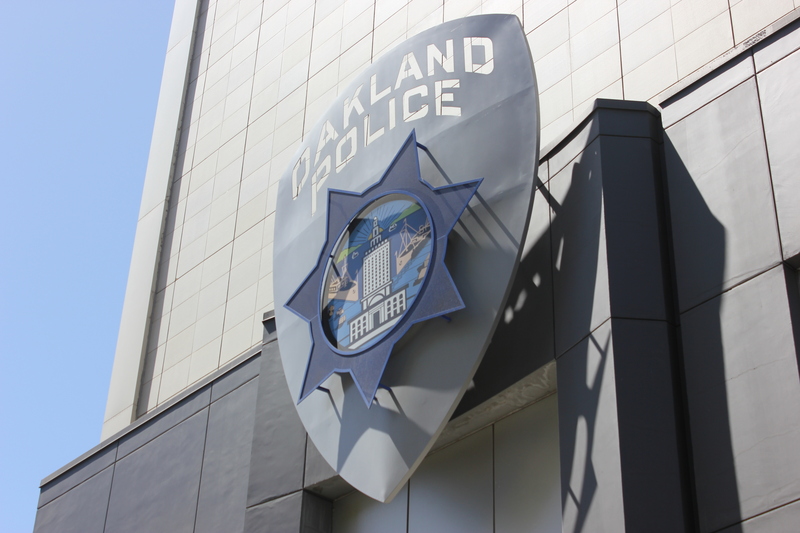 Police reform and public safety advocates have paid close attention to Oakland’s progress–staggered though it’s been–under the Negotiated Settlement Agreement (or NSA) that settled Oakland’s notorious police corruption case often known as the Riders Case. The settlement agreement was reached in 2003 and Oakland has struggled in the years since to make real progress on the 51 reforms it required. But under court supervision, the strong leadership of OPD’s current command staff, and new policies that are helping rank-and-file officers build better relationships with our community, OPD reforms are stronger than they’ve ever been. Use-of-force incidents are down, civilian complaints are down, and civilian oversight is being bolstered with strong leadership and more resources. The media coverage of this progress, and especially of the most recent report from Chief Warshaw, has missed many of the most important points. [W]e have noted continued improvement with EFRB process. Of particular note has been the investigators’ demonstrated knowledge of the cases presented and professional police procedures. This is, in part, attributed to the specialized and extensive training the present administration has provided – and it is demonstrative of OPD’s commitment to addressing the serious issue of force. . . . [O]ur review of the case files has found the investigations to be thorough and the Executive Review Board schedule to be timely. [W]e . . . applaud OPD for its continued engagement with Dr. Jennifer Eberhardt of Stanford University. Dr. Eberhardt’s collection and study of stop data is an effort to understand whether, or the degree to which, bias may affect the interactions between the police and members of the public; and to develop appropriate training or intervention strategies. This forward thinking will undoubtedly be beneficial to OPD and the Oakland community. Second, out of 51 “tasks” originally monitored in the NSA, OPD has been in compliance with 48 for more than a year, and is now under monitoring for only Task 5 (Complaint Procedures for IAD), Task 34 (Vehicle Stops, Field Investigation and Detentions) and Task 45 (Consistency of Discipline Policy). What the Court didn’t explain was that the monitor repeatedly found OPD in compliance with Task 45 from October 2013 through July 2014, before becoming concerned about several arbitrations in October 2014. The City is implementing the Investigator’s recommendations, and although details are not public, we understand that arbitration outcomes have already improved markedly. OPD and the City should be in full compliance with Task 45 very soon. Offense categories (felony, misdemeanor or infraction). This data shall be entered into a database that can be summarized, searched, queried and reported by personnel authorized by OPD. – Negotiated Settlement Agreement VI. B. During our prior quarterly reviews of information to assess compliance with this Task, we reviewed random samples of various data and forms relating to stops. The sample size generally exceeded 350 stops and included Computer Aided Dispatch (CAD) entries, Field Contact Cards, traffic citations, and Stop Data Forms. We also reviewed the stop data forms to determine whether they were accurately and fully completed as required with the following information, 1) time; 2) date; 3) location; 4) identification of member making stop; 5) reason for stop; 6) apparent race/ethnicity of individual(s) stopped; 7) gender of individual(s) stopped; 8) outcome of stop (arrest or no arrest); 9) whether a search was conducted; 10) outcome of any search; and 11) offense category (felony, misdemeanor, or infraction). We gave special attention to the reason for the stop (No. 5) – essentially the fundamental justification for the interaction between the officer and the person stopped. Our reviews of this data for our last several quarterly reports found sufficient valid justification for each stop reviewed; accordingly we have turned our focus to analyses of the data to identify indicators of racial disparity. In other words, OPD is taking absolutely every step required by Task 34. Nonetheless, with no specific stated reason, the monitor finds OPD to be in “partial compliance” with Task 34. Although the report doesn’t say so, the reasons seem to be racially disparate numbers of stops and searches, the overall number of parole/probation stops (although the monitor acknowledges these stops have a legitimate law enforcement purpose), a lower level of contraband recovery during probation/parole searches of African Americans as compared to Hispanics, and the inadequacy of OPD’s analysis of stop data. At the same time, as discussed above, the monitor praises OPD for its continued engagement of Stanford’s Dr. Eberhardt to provide such analysis. But the fact that OPD can do even more than it does in these areas does not mean OPD is out of compliance with Task 34. OPD, based on the monitor’s own reporting, is meeting every one of the Task 34 requirements, and is in full compliance. Here, there are 14 sub-tasks. As with Task 45, the monitor found OPD in full compliance four quarters in a row. After the investigator issued his report concerning arbitrations, the monitor deferred further evaluation of OPD’s compliance with the complaint procedures requirements. Then, in the 21st report in May of this year, the monitor evaluated every single sub-task, found OPD in full compliance with every single sub-task, and then reported that despite this literal compliance with every requirement, and no criticism whatsoever, he was going to judge OPD as in partial compliance only because of the related Task 45 problems. In short, as he has on many occasions, the monitor unilaterally re-wrote the requirements of a task and then, based on the new interpretation, found OPD out of compliance. It’s not time to end police accountability and oversight efforts: it’s time to strengthen them by restoring full control of our department to the people of Oakland, under the guidance of the local leaders who are helping OPD make historic progress. Chief Sean Whent, Assistant Chief Paul Figueroa, and the rest of their command staff have dedicated their careers to best-practices policing. They have put community policing at the center of how OPD grows and does its job. OPD’s relationships with the community are strengthening through violence-reduction programs like Ceasefire, which enjoys the support of the community, our officers, and all our elected officials. Oakland is already on track to continue this progress, to strengthen the bonds between police and the communities they serve. As we noted above, and as the court has now reported, Oakland is in full compliance with 50 out of 51 NSA tasks. Once OPD shows sustainable compliance with Task 45, it will be time for the monitor, the Plaintiff attorneys, and the judge to acknowledge it is time for Court supervision to end, and for Oakland to once again carry the full responsibility and accountability for growing the police department our residents deserve. Note: Links to all relevant NSA reports from 2010 to present are available without search or download charges or the need for a PACER account here. This entry was posted in Negotiated Settlement Agreement and tagged Negotiated Settlement Agreement, NSA. Bookmark the permalink. Excellent report on OPD’s compliance efforts and successes, particularly the Warshaw’s disturbing tendency to move the goalposts and rewrite the tasks at will. This has been going on for years, and it is no coincidence that he has a personal financial stake in keeping the federal monitoring of OPD going on into the future. The schizophrenic nature of his reports–i.e. being both laudatory of OPD’s accomplishments and at the same time denying compliance or even reversing judgments of compliance announced in previous quarterly reports–can be explained by the fact that he is both the Compliance Director and the Monitor for Judge Henderson’s court. That dual role makes him responsible for OPD being in compliance–one of his assignments–and at the same time the judge of whether OPD is indeed in compliance. In other words, he is judging his own performance as Compliance Director, similar to someone writing an essay and then assigning it a grade. Chief Bill Bratton, while he was assisting with OPD’s reorganization in 1811 and 1812 predicted that Warshaw’s dual role in the process would eventually lead to compliance because of the fact that he would not be able to continually report compliance efforts deficient while he responsible for the success of, those efforts . Warshaw is costing Oakland around $ 1 Million a year to direct and report on OPD’s compliance with the NSA, a veritable money spigot that he is not anxious to turn off. way things have always been. Old timers who knew a different OPD are few, most having retired as OPD becomes younger and newer. The culture of OPD has changed dramatically over the last 4-5 years, and with it, its police practices. A front page story in the SF Chronicle today pointed out the dramatic reductions in shootings and other uses of force by Oakland police officers since 2012, affirming a change in the way that police services are being delivered in Oakland. It’s time for Judge Henderson and Warshaw to relinquish their control of OPD. If Warshaw’s desire to enhance and expand the tasks of the NSA is genuine, I would recommend that he donate his time and counsel to OPD after his tenure is ended. That would be the true test of whether his interest in OPD is primarily altruistic or largely venal. Crime is up in the first six months of 2015 over 2014 and over 2011. Yet arrests are down. This contrast is only one indication of the fact that the goal of the monitoring process directly conflicts with the goal of public safety for the 400,000 people of Oakland. And what is the goal of the monitoring process? It has certainly swelled far beyond cleaning up the alleged gangsterism of the Riders (which was never proved in court). In fact, there is no definite goal. It is simply whatever Judge Henderson, relaxing in his home in the Berkeley hills, and Mr. Warshaw, revising his target figure for a retirement fortune, declare it to be. Every day people in Oakland are robbed, beaten, and come home to burglarized homes thanks to these two men. Lots of important matters neglected by this analysis. First, as Charles points out, the purpose of OPD is to protect the safety of the public as a whole, in which it is coming up quite short. Charles could have pointed out that many wealthier neighborhoods now have hired private patrols, which, incidentally, Oakland’s Mayor Schaaf supports. And of course MOBN is a great supporter of the Mayor. As an Assistant Chief has pointed out in private conversation, OPD officers are tiptoeing around very carefully these days because of the ongoing close departmental oversight. Could this have an effect on the ongoing high rate of crime in poorer neighborhoods? This question may matter little to those whose neighborhoods are relatively crime free. Did MOBN directly ask Mr. Warshaw about his intentions in being very strict with compliance issues? As I recall when Warshaw was hired he mentioned that he wanted OPD to become not just a compliant PD, but an outstanding one and a leader. It’s important also to recall that for some six to eight years of the NSA, OPD failed in a major way to institute mandated reform. Oakland thus lost control of its police department. I wonder what exactly would lead MOBN to assume that when Warshaw leaves, reform efforts would continue. City hall has proved beyond a doubt over many years that it cannot offer any significant leadership regarding police ethics. Despite what MOBN claims, the challenge of providing real community policing remains. Ceasefire is a violence-reduction strategy, it is not a community-policing method. Oakland’s Problem Solving Officer/Neighborhood Crime Prevention Council system does not provide for real community policing and in poorer communities this system is actually destructive of good police/community relations. Last, Oakland has no overall public safety plan. As a city we remain directionless with regard to moving foward towards adequate public safety especially in East Oakland where violent-crime-traumatized children continue to fail in school. Matters may look good from high on the hill or from the Mayor’s PR perspective, but the facts in the flat land tell another story.